Joe Rogan, who is more known as the host of Fear Factor is also actively involved in his own little big psychedelic adventures. He has experimented with all kinds of psychedelics including the most recently discovered DMT which is the chemical responsible for our dream state and other cognitive abilities and sensations. It's safe to say the Pineal Gland is our naturally legal drug factory ! There’s a fascinating theory by Terence McKenna. 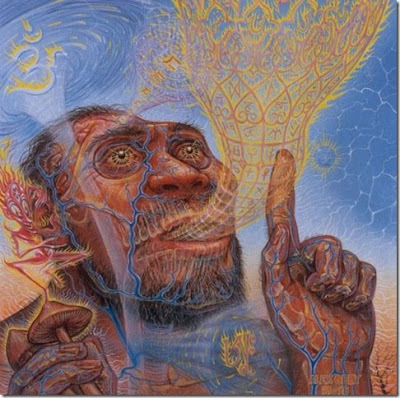 He believes that human evolution was accelerated by the consumption of psilocybyin [psychedelic] mushrooms. When the rainforest receded into grassland in Africa a million years ago, the hominids came out of the trees and started looking for other food sources. 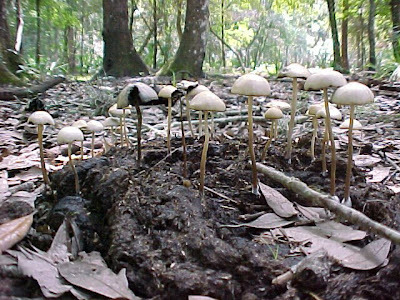 If you look at primates in Africa, they’re always flipping over cow dung to find beetle grubs, and these mushrooms grow on cow dung. "And if you ate these mushrooms, they would do a bunch of pretty interesting things that would tend to accelerate evolution. In low doses, mushrooms actually increase visual acuity, which makes you better hunter. They also make you hornier and give you consciousness-expanding experiences. It kills the ego, and it makes you look at life from an enhanced and much more objective perspective. Those things alone, point to one of the possible reasons the human brain doubled in size over a period of two million years. Which is the biggest mystery in the entire fossil record. The doubling in size of an organ over the period of two million years." Our brains got bigger because we learned how to cook food. This saved alot of energy on our stomachs and allowed us to advance...NOT PSYCHEDELICS!!! There is a missing link connecting us with other galactic civilizations and much of what we are taught in school about how we came into being needs our conscious scrutiny. Psychedelic plant teachers have been used by ancient civilizations for longer than we are inclined to believe. Psychedelics have a positive effect when used ritualistically with life affirming intent. Psychedelics enhance our cognitive abilities enabling us to evolve to our true multidimensional, multisensory divine self ! Terence McKenna's Stoned Ape Theory is highly recommended ! There is good reason why psychedelics are known as 'Food Of The Gods' ! kevin, your intelligence and the size of your brain have no connection. however, what has cooked food got to do with it? i believe it is possibly all correct... that would be the most plausible scenario to me. 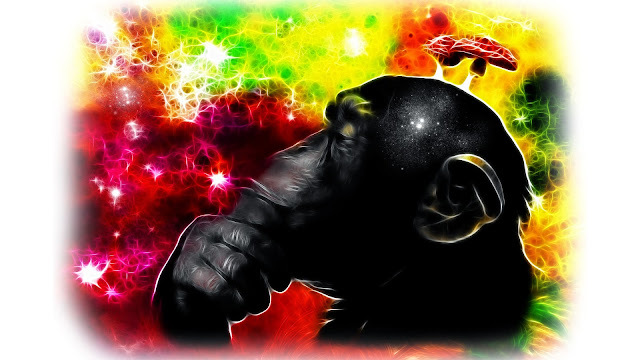 i beleive mushies definitely would have effected our evolution.. it is impossible that we did not use them, and there fore impossible that they would not hav been considered very powerful and sacred, and highly valued..
For many reasons I don't think that consumption of psilocybin mushrooms played a major role in our accelerated our genetic evolution. That being said the theory artistically fits in well with the Society of the Psilocrosse which is right spot on. Also I didn't know that about Joe. Pretty cool.